Black Radish from Solaray harnesses the ages-old support of the black radish plant, a staple in ancient times to help support and maintain a high level of overall health and wellness. 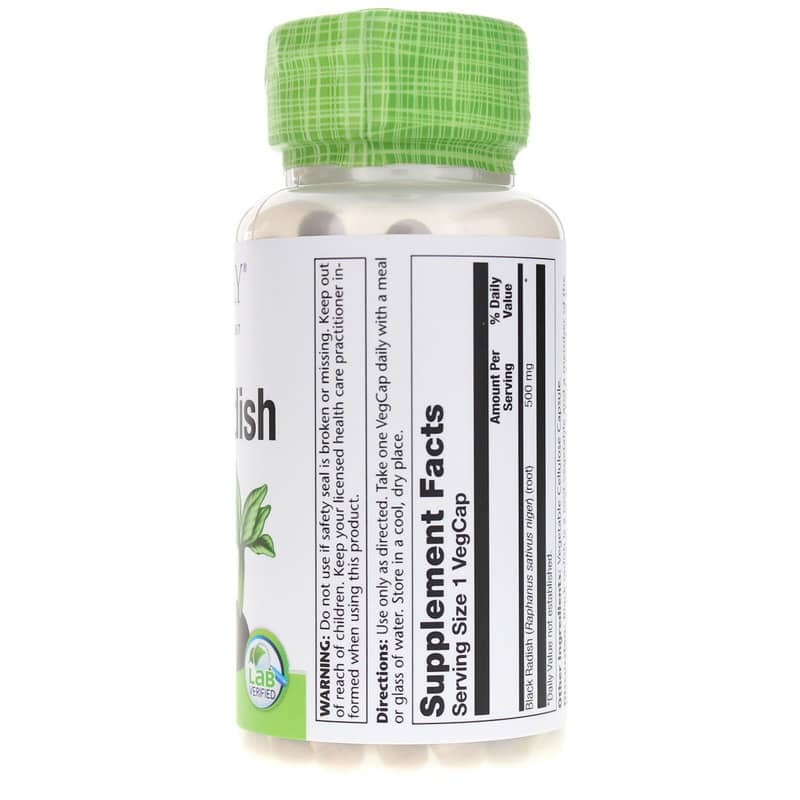 It delivers essential nutrients like B complex, vitamin C, potassium, calcium, magnesium and more, and is thought o provide a number of different health benefits. 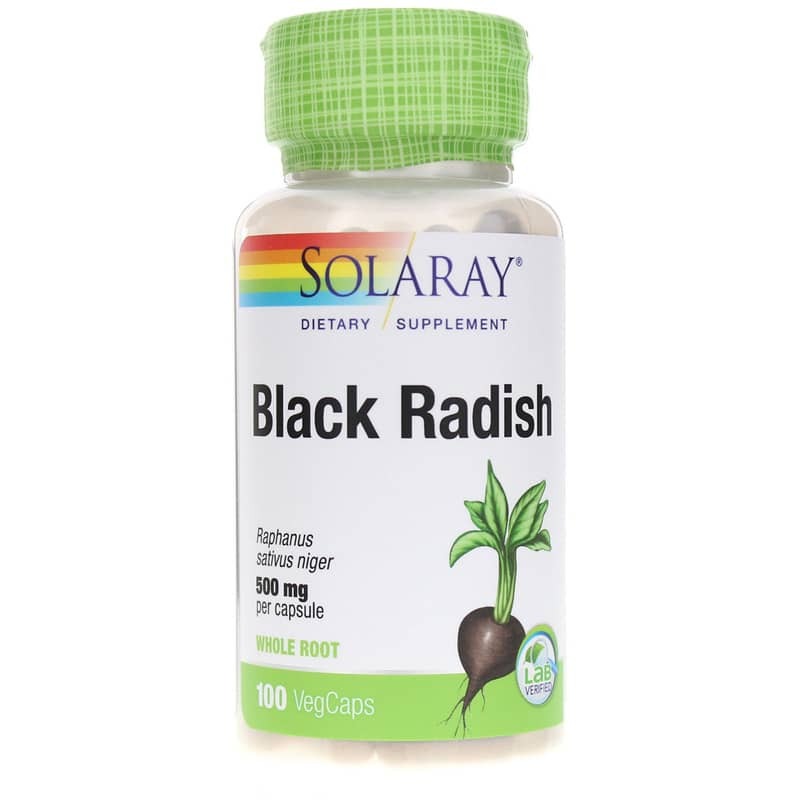 Black Radish from Solaray is 100% Vegan and Non-GMO and comes in an easy to swallow VegCap form that provides 500mg of black radish in every serving. 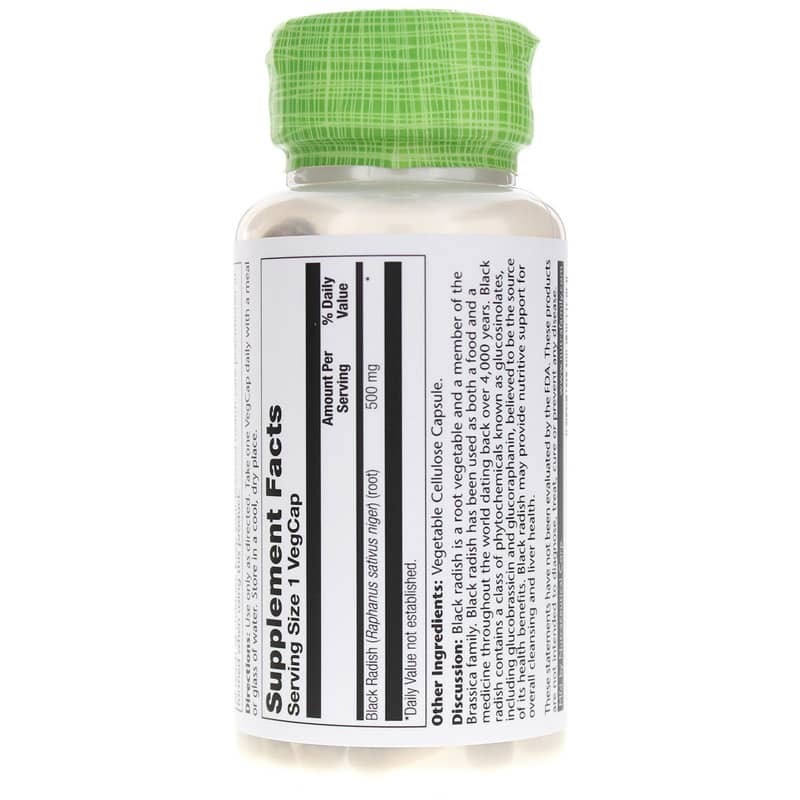 Just one capsule every day with a healthy meal or glass of water may help you stay on the all-natural pathway toward optimal overall health and an increased sense of wellness. Order yours now!